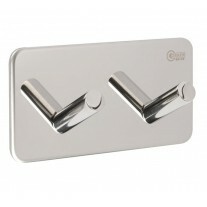 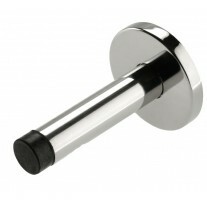 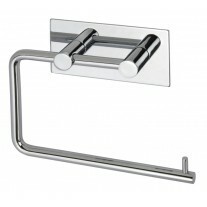 This stunning bathroom door handle pack features a cylindrical t-bar lever on rose and matching bathroom thumb turn and release, both finished in a stylish polished stainless steel. 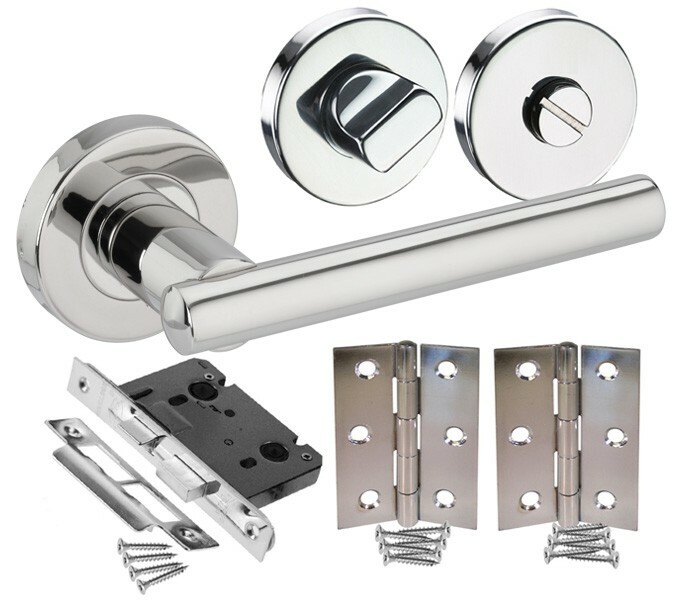 Our bathroom door handle pack includes a pair of bathroom door handles, hinge pair, bathroom mortice lock and thumb turn and release, ready for fitting to a new door. 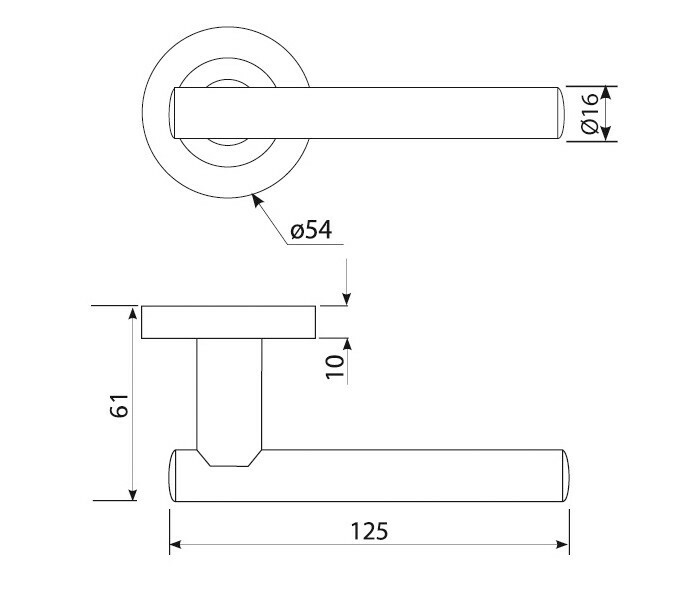 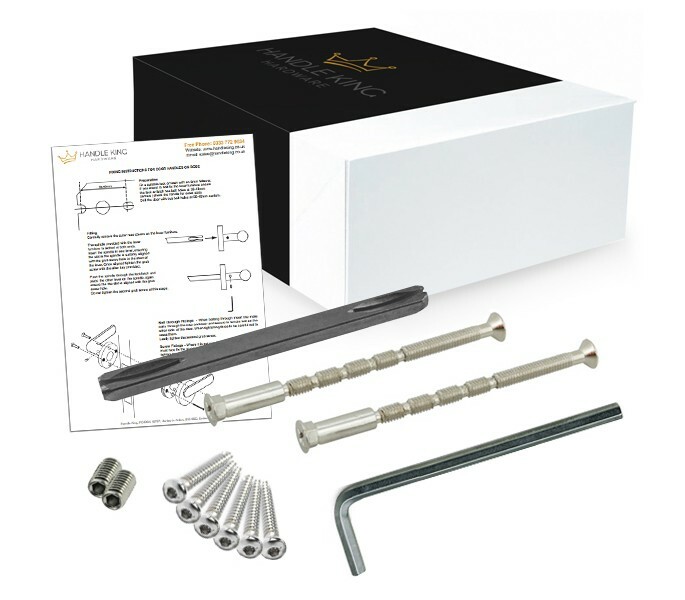 If ordering new handles for an existing door and do not require every component included within this handle pack, any items required can be bought individually.